So you’ve gotten an invitation to voice your opinion about a certain product or service online, whether it is a laundry product, type of beverage or some other commodity. The offer looks good – up to $100 for your thoughts, and even more in some cases, and less in others. Or you may have been invited to take part in a panel of consumers in market research that will keep you busy with a wide range of surveys about household products, automobiles and other consumer goods, on a grand scale. Do you go for it? 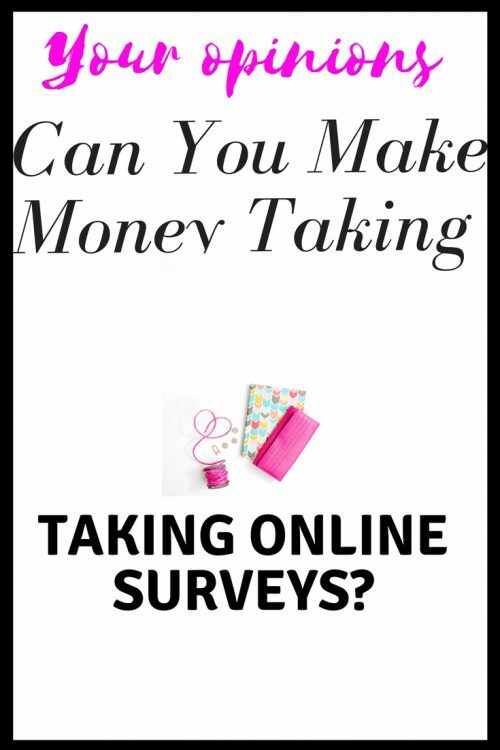 Is taking surveys the best way to earn money online? The online survey is a carry-over from the snail-mail variety that was originally targeted to housewives and home-owners who would receive special invitations to take part in marketing research. In this scenario, a company would mass-mail a product survey out to thousands of chosen consumers, who would open the mail, answer the questions and give their opinions, and then send the response back in a postage-paid envelope provided. In every sense of the word, online surveys work exactly the same way, except that the physical mailing aspect of it is replaced with file transfer over the Internet. Today, hundreds of thousands of folks from all walks of life are drawn into the survey industry. Market researchers can definitely afford to be selective with who gets paid to do the surveys, and who doesn’t. Like any other business, in order to make money at doing surveys, you will need to spend the lion’s share of your time doing it. If you are fortunate and have a family, two cars in the garage and living in a decent middle-class home, and you use a lot of name-brand commodities, you may be a good candidate for the higher-paying surveys. If you have anything less than this, expect to be turned down for these most of the time, though, depending on your circumstances, you will still qualify to take part in the lower-paid ones. Are Online Surveys Worth the Bother? Most people these days do anything they can to pinch pennies. They live in modest homes, trailers and many rent apartments and houses. They buy store-brand products rather than name-brand as they tend to be less expensive. This goes with medicine as well, with the availability of generic versions which are available. Many folks are driving around in used automobiles. Bear in mind that market researchers are not interested in used cars, apartment rentals, single, unmarried or divorced folks, even married but no family. If you tend to purchase no-brand or store-brand products from your grocery store, you won’t get to participate in surveys that are for name-brand product research. Ironically, virtually none of the working poor, though are the ones drawn to online surveys in their attempt to create more income, do very well with surveys when the rubber meets the road. If you are one of these, online surveys probably won’t work very well for you as you will get screened out during survey sessions. It depends on who you are, whether or not you have a family, what you are driving, what you buy and where you live. At best, you may qualify for low-paying surveys which take up far more time than would be profitable for you. Many surveys have pay-outs of one-dollar, yet it will take you 20 minutes or more to complete. This is obviously not worth its while. Market researchers have multitudes to choose from to form their panels. They go for the best of the best, and this is atypical for most people. There are many, many other ways to earn money online. Most surveys do not fall in the scam category but they are very time-intensive. The earn money online surveys mystery still remain a mystery to most people as no one can really figure out how to make real money with surveys. Alternatives to surveys include multi-level marketing (not recommended,) auction sites, such as eBay, direct selling on places like Amazon. Not sure how Amazon works? understand how affiliate marketing works. Affiliate marketing remains to be the easiest and most lucrative choice for aspiring entrepreneurs. It’s a good place to start and anyone with average intelligence can create a lucrative business with it. Your best choice would be to pass up on online surveys as they are pretty low on the business . Anyone serious about making money online should stay away from surveys,not worth the time. Thanks Chris, what l hate on surveys is when im halfway done then i get disqualified because im not good for it.Another thing is the time it takes to make cents. Surveys are not for me. Hi there. Great insight about online surveys. That’s how I earned my first $1 online. This made me quite happy because of the power of earning money from home but soon the dream was over. I spend too much time in a month just to earn What? $15? I could have worked one or 2 hours more and used the remaining hours I lost enjoying my life or building a sustainable online business with internet marketing. You also lose too much time just to be pass through the screening process and when rejected it is very frustrating to know you time was in vain. A complete waste of time and potential! Thanks Stefan, l too started with surveys but soon realized it was a waste of time, not to mention in my side of the world there are not many surveys. Online surveys are very tricky to me and personally, I stay away from that. You gave some thorough explanations on which ones pay out the most money depending on which financial situation you’re in. I’m glad that I got to read your article and I am happy that I know more specifically about online surveys. Great article. Thanks Marc, surveys are a time waster paying cents for a 20 minute work or more.l tried them when l was getting started and soon gave up,it was made worse that l do not have a deep wallet and stayed in the wrong part of the country. Excellent! I enjoyed reading and learning about how surveys work. I have done surveys in the mall, online and for resort hotels. But I’ve never earned any what I consider “real money”. I see now why I wasn’t privvy to the bigger earning surveys. It’s because I don’t fit their mold of the ideal candidate. Thank you for sharing this information and for offering an alternative to online surveys. Thanks for such a detailed article on the earn money online surveys mystery, as you so apply call it. I tried online surveys a few years back and honestly I found them a horrendous waste of time. It was so frustrating. I was only when I made up my mind to learn who to truly earn money online that I discovered how to do. Just like your #1 Recommendation. It’s the only place I recommend to my friends and to the people I love. It’s honest, ethical and free to join. You just can’t beat it. glad to know you turned your back on surveys,total waste of time. I have tried online paid surveys in the past, but I found them to be a waste of my time due to the low rewards. Thanks for teaching me more about online paid surveys, and your affiliate marketing recommendation is more appealing to me.